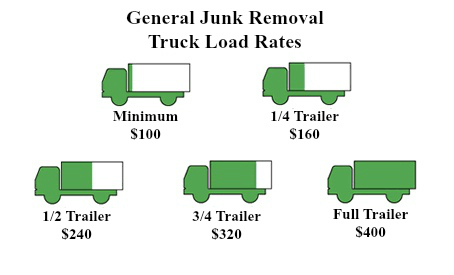 With our General Junk Removal service you only pay for the space you use in the trailer. Our trailers are 12‘L x 6‘W x 4‘H. Our rates include labor, hauling and disposal fees. Additional fees may apply for special services**. For details, see below. 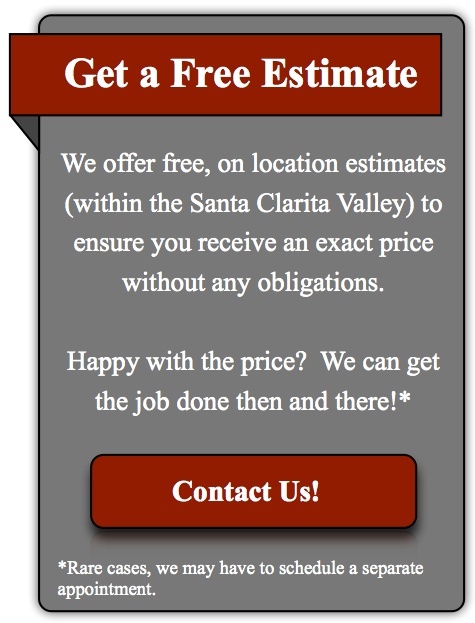 **All prices are for services within the Santa Clarita Valley. A gas surcharge may apply to services provided outside the Santa Clarita Valley. 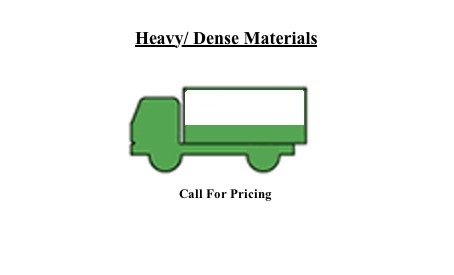 Heavy/ Dense Materials are priced differently than General Junk Removal prices due to certain weight and safety restrictions. Because of weight, we can only fill the trailer up 1ft deep. Please call for pricing.